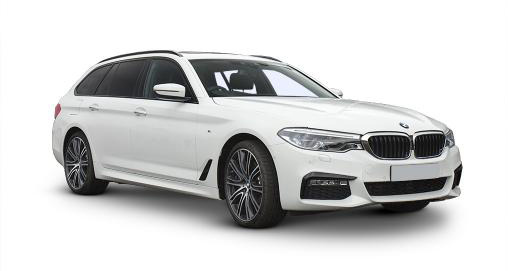 With all the elegance and exceptional driving dynamics of the saloon, the 5 Series Touring has everything you’d expect with far more space for luggage, or just bringing your dog along for the ride. The extensive range of engine options combine economy and low CO2 output with the performance and agility that’s a mainstay of BMW’s entire range of vehicles. 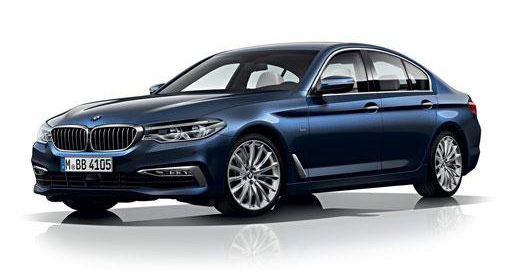 The 5 Series Touring is lithe, quick to react, and relaxed when you want it to be. Accurate steering feels secure with a solid grip of the road. Optional adaptive damping collects data from the driver, the road beneath and the sat nav reading of the road ahead to provide the ultimate driving experience. Wind noise is kept to a minimum thanks to the solid build, but this incarnation is 100kg lighter than previous versions. Safety and enhanced driving technology is the same as the saloon with an option to upgrade the Driver Assistant package for near autonomous driving tech. Park Distance Controls at front and rear come as standard as does the LED headlamp package which is perfect for navigating country lanes or unlit roads at night.